The book 'Perspectives on place' includes John Darwell's image 'Entrance to Welton Pyre' from his project 'Dark Days'. Author J.A.P. Alexander provides a textual discussion of the image. 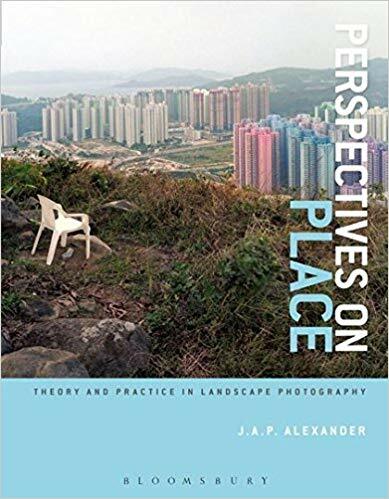 Book abstract: Perspectives on Place provides an inspiring insight into the territory of landscape photography. Using a range of historic and contemporary examples, Alexander explores the rich and diverse history of landscape photography and the many ways in which contemporary photographers engage with the landscape and their surroundings. Bridging theory and practice, this book demonstrates how mastering a variety of different photographic techniques can help you communicate ideas, explore themes, and develop more abstract concepts. With practical guidance on everything from effective composition, to managing challenging lighting conditions and working with different lenses and formats, you'll be able to build your own varied and creative portfolio. Richly illustrated with images from some of the world's most influential photographers, Perspectives on Place will help you to explore the visual qualities of your images and represent your surroundings more meaningfully.